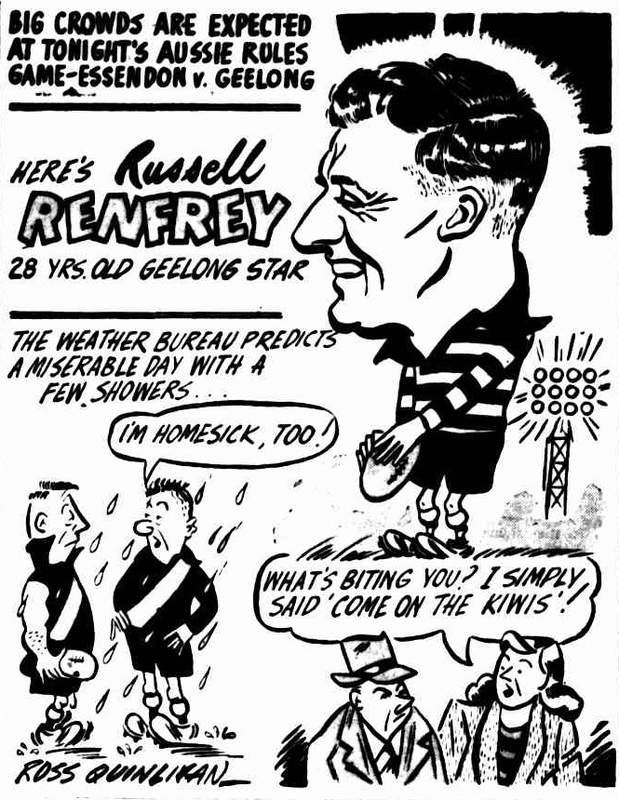 In 1952 the VFL played a round of matches in regional centres and in interstate capitals. The concept was to promote Australian Rules football around the country and the round has been labelled by many as the ‘Propaganda Round’. During this round matches were played in Hobart, Sydney and Brisbane. 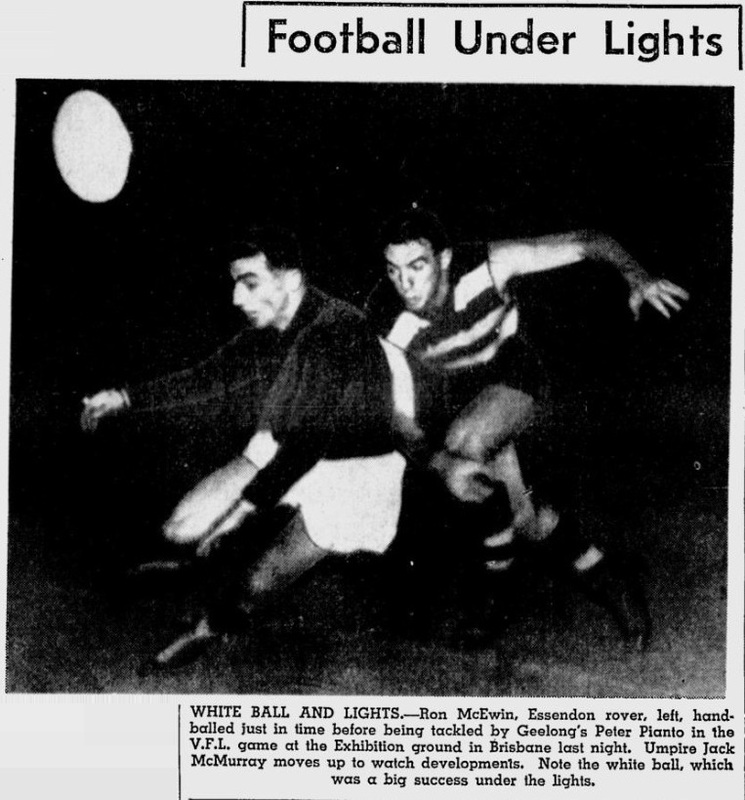 With experience of football under lights at the 1950 carnival, and a desire not to directly compete with Saturday rugby, it seems obvious that the Brisbane game was scheduled under lights at the Brisbane Exhibition Ground. The Essendon team selected on the Friday included Syme as a follower but after the game, the Age reported that Carstairs played instead. The Age also indicated that John Gill acted as a follower. This means the most likely team lineup was for Carstairs to come in into Gill's position in the forward pocket and for Gill to take Syme's position as a follower. The game was originally scheduled for Saturday night, but bad weather caused the game to be postponed until the Monday. Coleman kicked 13 Goals helping Essendon to a clear victory, but a few weeks later the Essendon would again play Geelong, this time at windy hill and the game would end in a draw with both teams ending the game on 76 points. Essendon would fail to make the finals whereas Geelong would win the 1952 premiership.